In addition to preventing the infection, the flu vaccination may have a more important benefit for those who get the shot. A new systematic review, published this week in the Journal of the American Medical Association (JAMA), found that individuals vaccinated against the flu had a significantly lower risk of a major cardiovascular events, such as a heart attack or stroke, compared with those who received no flu vaccine. In the meta-review, researchers from the University of Toronto analyzed five published studies and one unpublished study. They then rolled-up the data to investigate the connection between those who were vaccinated against the flu and various cardiovascular events. Altogether, the studies included approximately 6000 patients. Moreover, the patients had an average age of 67, while about one-third had a medical history of heart disease. The results were dramatic–individuals who were vaccinated against the flu had a 2.9% risk of having a major cardiovascular even with the next eight months. The risk for those who were not vaccinated (or received a placebo) increased by 150% to 4.7%, a statistically significant difference. According to the study, less than 50% of people under the age of 65 with high-risk conditions (such as cardiovascular disease) receive the flu vaccine, which puts them at risk of complications like heart attack and stroke. 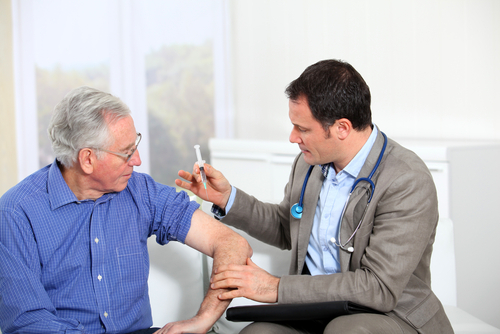 Older individuals, who often have existing health problems, appear to be more likely to be vaccinated, although up to one third still skip their annual flu shot. 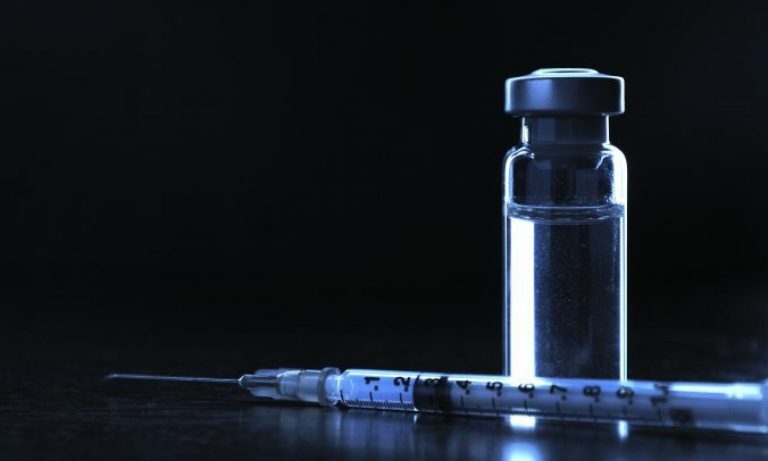 One last point–getting the vaccine, whether the patient has underlying cardiovascular disease or not, does not increase the risk of any cardiovascular effects. We’ve all heard the excuses and myths about the flu vaccines. They just aren’t true. No, they really really really aren’t true. By the way, Mark Crislip, MD, thinks those of you who make up whiny excuses for not getting the flu vaccine are dumbasses. His words, but quite apropos. So, if you have had cardiovascular disease, or are at risk from it (like those who have type 1 or 2 diabetes), then get a flu vaccination no matter what your age is. If you have any other risk factors, like being under the age of 5, pregnant, or other important chronic conditions, get a flu immunization. If you’re a healthy adult, and you’re going to visit your parents or grandparents who could catch the flu from you, get vaccinated, even if they’ve been vaccinated (because there is some small chance that the vaccine didn’t give them full immunity). Just get vaccinated for the flu. The clinical value of preventing the flu is huge. The mythical risks of getting the vaccine are invisible. Udell JA, Zawi R, Bhatt DL, Keshtkar-Jahromi M, Gaughran F, Phrommintkul A, Ciszewski A, Vakili H, Hoffman EB, Farkouh ME, Cannon CP. Association between influenza vaccination and cardiovascular outcomes in high-risk patients: a meta-analysis. JAMA. 21 October 2013; 310: 1711-1720. doi:10.1001/jama.2013.279206. Next PostNext Cinnamon to manage diabetes? Don’t bother.